The Syncrowave 200 is a portable TIG welder with advanced features such as dual digital meters, pulse control and auto post-flow. Using your Syncrowave 200 to weld aluminum requires you to set the machine to the desired amperage output and select the proper electrodes for the style of aluminum you are welding. Syncowave 200 TIG welders can either be purchased or rented from tool outlet stores. Clean the repair area of the aluminum with a wire brush to remove grime and dirt. Use a shop towel to remove lubricants that may be present. Attach the alligator clip of the welder ground cable to the work area or a work bench. Turn on the welding machine and set it to your desired amperage. Put on the welding helmet and insulated gloves. Position yourself above the work area. Hold the welder tungsten at a 70-degree angle to the piece being welded and about 1/4 inch from the surface. Start a weld pool in the aluminum with the tungsten at the beginning of the weld. A weld pool is a puddle of metal that forms after being heated. Hold the filler metal at a 15-degree angle and begin to dab into the weld pool. 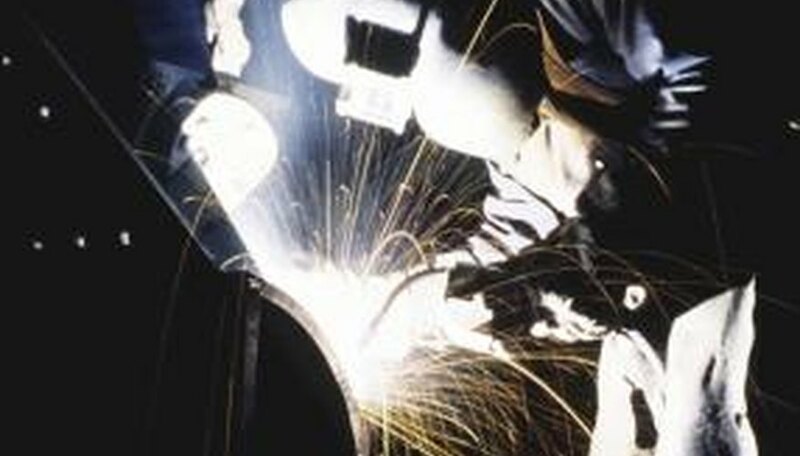 Drag the weld pool along the length of the repair area and continuously fill with filler metal until you reach the end of the area being welded. Allow the aluminum to cool. Clean the weld with a wire brush to remove weld splatter and rough edges. Wipe the surface clean with a shop towel. The finished weld may be painted if desired. Always weld in a well ventilated area. Don't weld near flammable materials. Jeff Woodward has been writing since 2007, mostly for "Macabre Cadaver" Magazine, conducting interviews and movie and music reviews. Demand Studios has allowed Woodward to enter the nonfiction article writing market. Woodward's experiences as a parts manager in the trucking industry allow him to write articles for eHow.